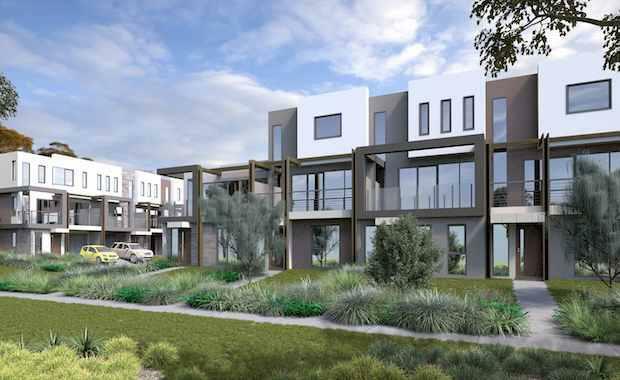 Melbourne-based developer Three Pillars, it set to deliver a new development comprising 79 residences on the site of the former Mooroolbark Primary School in Melbourne. The site, on the corner of Manchester and Lincoln roads, has been vacant since the school closed in 2004 and was subsequently demolished. Three Pillars bought the empty parcel in 2012 and its residences are set to be built by Edgepoint Homes under an exclusive arrangement. With the first two stages nearly sold out, stage three at the estate was released late last week. The remaining stage three allotments will feature a range of double- and triple-storey, townhouses of up to four bedrooms, all with two bathrooms and off-street parking. Ranging in size from 133 square metres to 188 square metres, and priced from $370,000 to $440,000, the properties are expected to appeal to a broad range of homebuyers and investors. “The varied housing options make Central Ave Mooroolbark not just attractive to families, but to first-home buyers, downsizers and investors,” said Three Pillars Director Ben Thomas. Featuring six-star energy ratings, ceramic floor tiles, Technika appliances, stone kitchen benches and laundries, residences at the estate will also have access to two communal outdoor areas. The total value of the project is estimated at $29 million.